Free Golf and Tennis: Nine-hole Golf Course, small green fees (during January through March $3) and ten tennis courts. First Floor condo completely furnished, immaculate, and updated with 1200 square feet. A beautifully manicured, landscaped 120 acre gated resort. Master bedroom has a King and the second bedroom has TWO twin beds. Each bedroom is completely private with full bath in each bedroom. Pets are NOT allowed, No Smoking. Just a three minute walk (600 ft)to the ocean with three heated pools, (two large pool 200 ft) a jacuzzi, a sauna, the fitness room, volleyball, basketball and planned activities. A tiki bar at the pool open daily for, breakfast,lunches and drinks. Dine at the gourmet award winning restaurant 'The Inn at Ocean Village.' with live music or dancing. Nearby the marina has fishing charters, boat rentals, manatee tours, sunset cruises and more. There are miles of uncrowed beaches that you can fish for Pompano in the surf, collect shells, etc. Beach chairs are provided. It is Florida's best kept secret. Just a paradise with loads of privacy. It is uncrowded, quite and serene, with miles of beachront. The condo was just as pictured. It was comfortable and clean. The large pool at the tiki bar was beautiful and refreshing. It was easiest to load up the kids in the car and drive there since it was too hard to carry all of our gear on a 5 or 6 minute walk. There is beach access right behind the pool, so it was nice to explore and then return to the pool. There are several restaurants a few short minutes away (driving) and the inlet near the bridge is a nice area to let the little kids play and swim in the water without worrying too much about the dangers of ocean water. I also liked the view off the back porch and it was convenient to be on the first floor. I have a three suggestions to improve the comfort of the condo, but they don't change my willingness to return in any way. First, I would recommend getting a new coffee maker that's larger. The small one didn't work very well- it leaked and produced really weak coffee. I ended up having to drive to a gas station or McDonalds for my daily coffee (I know...it's a vice). Second, purchasing either a ceiling fan or a portable fan for the master bedroom would really improve the comfort in there. It gets really hot in the dead of summer and there's not much circulation in that room. Lastly, I'd have pest control come out as there were a few spiders roaming around...nothing major that we couldn't take care of ourselves though. Being a Floridian myself, I know that this comes with the territory. Overall, it was a nice stay with plenty of room for two adults and three little kids. I would return the next time I plan on visiting the area. We had a wonderful time staying in this location. 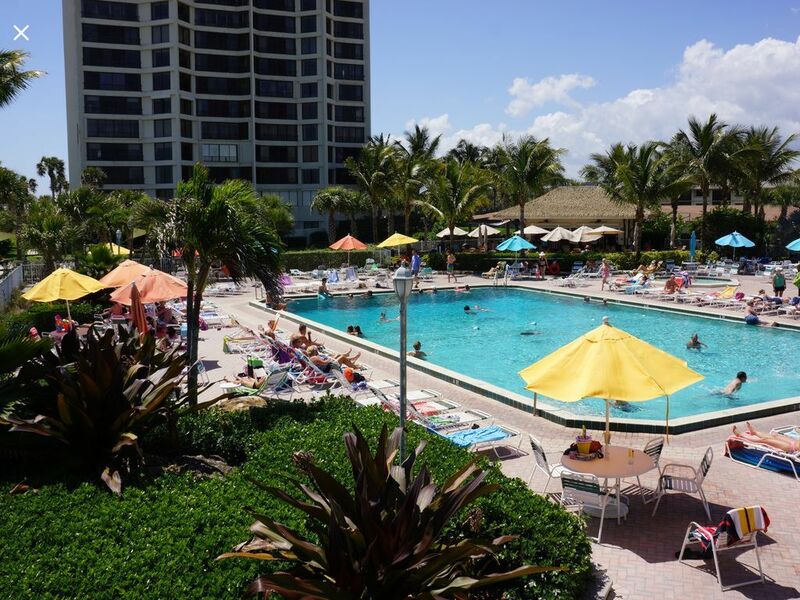 The beach is beautiful, the pool and golf are great, and the accomodations are very nice. OUr family had a very relaxing vacation.